America-related customers are expensive for banks. In Europe the deposit is often terminated. What securities may investors have, who sometimes happen to be Americans? Investment funds are often authorized throughout Europe, but rarely in the United States. 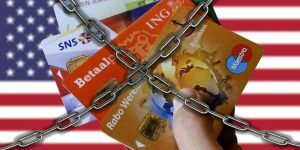 This leads to so many difficulties that German major banks no longer offer a self-managed securities deposit account to investors with a connection to America. With these words, Kohl in conversation with the Frankfurter Allgemeine Zeitung sheds some light. For when Commerzbank announced to several thousand private customers the closure of their securities deposit at the end of the year in a letter in May, the echo was loud and often the lack of understanding was high. 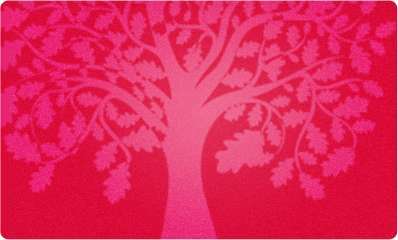 An American living for 45 years in Bonn, for example, a San Francisco-born, Frankfurt-raised teenager and the daughter of an American hotel owner living in Germany. “Only now?” was the reaction of some readers who knew that persons with American tax liabilities should report their foreign accounts to the US tax authorities as early as 2010. 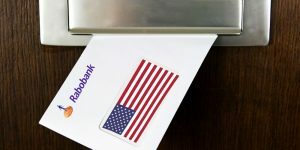 Those who have lived and worked in America have often painfully learned that German banks are compelled to report whether they have customers with tax obligations in the United States since July 2014. Even insurers like Zurich have tried to terminate insurance for that reason, says a manager who had been sent by his employer to the United States for a couple of months. There have also been reactions from the Netherlands. From there, a self-help group for clients with an American background (“Accidental Americans”) has started to raise the issue. This term refers to people who were born in the United States during a short stay of their parents or have parents of whom one is an American. In both cases, the children are automatically American citizens – even if they have never lived in America. American citizenship makes them taxable in America, regardless of where they live. “Filing taxes in the United States is complicated and complex. Making errors in a tax return is often worse than not filing tax returns,” says Daan Durlacher. Because he himself knew nothing of his tax obligations as an “accidental American” and then almost suffered a nervous breakdown in his fight with the IRS, Durlacher now helps to connect Americans living in Europe with tax advisers. “It’s almost impossible to file a tax return in America without professional help,” says Durlacher. It can also be expensive for banks that have American customers. As early as 2008, many Swiss banks were the first to throw out American customers when these were accused of tax evasion. In 2010, the United States passed the Fatca law, which requires citizens with American tax obligations to report their foreign bank accounts to the US tax authorities. For the implementation of the law the Americans have conferred banks abroad with duties. “We have to report, for example, the account or custody account balances, interest, dividends and other income of customers, who are taxable in the United States, to the German Central Tax Office, “ Bundeszentralamt für Steuern” (BZSt),” according to the German savings banks. The ‘BZSt’ then passes the information on to the American tax authorities. In order to detect whether someone has an American connection, German credit institutions examined their customers based on their place of birth or their postal address. Another indicator raising attention of their IT systems is a US telephone number or a standing order in favor of an American account. These requirements do not prevent German banks from providing an account for or giving credit to American customers. “But we can no longer offer the securities advisory business because the exchange with the US tax authorities is too complex and the ‘Securities and Exchange Commission’ s (SEC) regulatory standards are difficult to control,” says Kohl. As head of asset management at Commerzbank, however, he points to a – albeit more expensive – way out. Before the Commerzbank terminates the deposit at the end of the year, American customers can arrange for their assets to be managed without violating any American standards – for a fee, of course. This way they transfer the decision as to which securities are actually bought or sold to the asset managers of Commerzbank. At first glance, it does not seem very difficult to put together an “American-style securities depository” for American nationals abroad. “The legislation allows us a significantly limited securities business (exclusively in individual shares and German federal securities) with American citizens resident outside the United States,” said the Deutsche Bank. By contrast, in 2011 Deutsche Bank was forced to inform private customers resident in the United States that they would no longer be able to do any securities business with them. The Commerzbank also lacks the necessary representatives of its own in the United States. American banks in particular have benefited of these circumstances because many customers have transferred their money directly to America to an American bank after the cessation of deposits at major German banks. In contrast, Swiss UBS has since founded UBS Swiss Financial Advisers AG, which has a license in Switzerland and with the SEC in America. This enables UBS to serve customers with a US background, including those domiciled in the United States. The German banks cannot keep up. This is not a serious matter from Kohl’s point of view. For the typical Commerzbank customer is a German entrepreneur working in the United States or the American professor during a guest semester in Germany. “We can offer these clients asset management according to American standards,” says Kohl. “Funds, warrants and certificates are taboo for Americans in this asset management. Individual titles, on the other hand, are generally unproblematic,” confirms Kohl. This applies in particular to shares. “Bonds that are not approved by the Securities and Exchange Commission in the United States cannot be acquired by a “US person” in Germany because of the corresponding ban”, explains Kohl. Why then do big German banks not let those who make their own investment decisions among their securities customers sign a commitment that they manage their custody account according to these rules? Then, customers could continue to decide for themselves which securities they want to buy and sell. Why don’t the banks introduce a ban on the fund purchase? “Too complex with 1.5 million deposit customers,” Kohl puts off. The danger would be too great that, if the account manager was on vacation, their replacement might still be making the purchase for the certificate or fund, which Americans are not allowed. Conveniently, asset management is also better business for the bank in times of increasing bureaucracy. In 2013 Commerzbank began to separate the securities business for Americans with their own profile within asset management. At the end of July, it managed assets worth 1340 million euros for international clients, including 298 million euros according to American standards. Presumably, this amount will grow strongly towards the end of this year because Commerzbank has given its America-related customers the option of accepting asset management or terminating the custody account. So that the latter does not happen, the bank offers these clients an option. “For clients sent to America by their employer, we offer international asset management with individual securities in four risk classes instead of the usual amount from € 250,000 now from € 150,000,” he generously states his proposal. 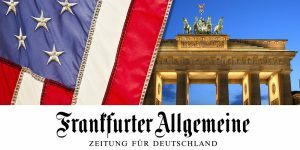 More questions about German banks and clients with an American background? We, the founders of Americans Overseas, were born in Europe and obtained our American nationality through our (American) mothers. When we heard about this for the first time around 2013, we were in total disbelief (it can’t be true! ), anger (how can they do this? ), fear (am I going to get fines or pick up other problems? ), and panic (what should I do?). It is (unfortunately) true that there is an additional American tax levy. But there was no information from the national government, and when approached, the American Consulate referred us to the IRS, and the IRS was impenetrable. If you have more questions about US tax and an American background you can contact us at Americans Overseas.